Wooden earrings, worked with the image transfer technique. 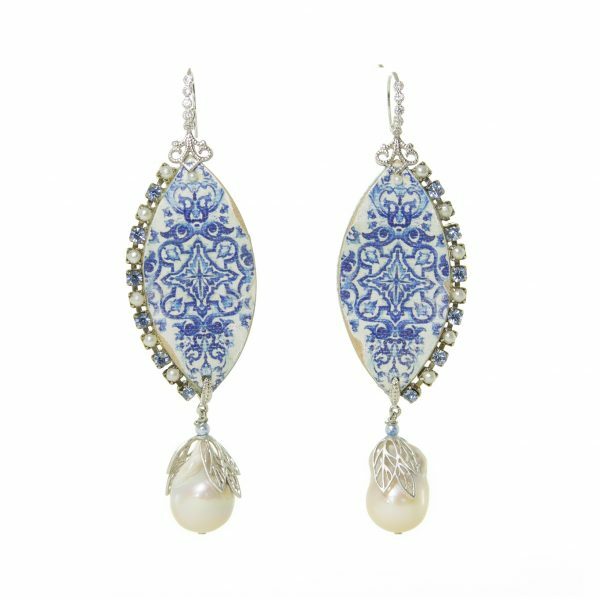 Above the earring are reproduced the ancient Sicilian majolica. Rhinestone, pearl beads scaramazza. Silver rhodium plated brass elements. Manufacturing of this product has been realized with hand crafted procedures and not industrial. Small imperfections and ripples of the surface are deliberately present and they are a feature of the product, proving the hand-made manufacturing procedure.